Describe mercy. How do you define it? How do you know it when you see it? *Share your definition & thoughts on Comments. simply, not getting what I deserve as a result of my sins. Same as Keven put it, I deserve death due to my life. But God's mercy has given me life everlasting, he has defeated death. 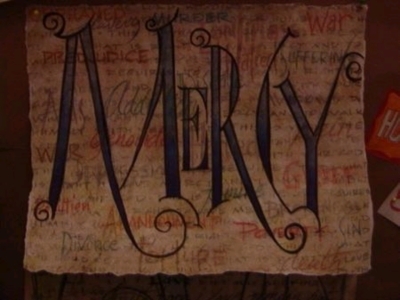 This week we celebrate that mercy through Jesus, our mercy giver. Mercy means grace but also self-forgiveness for me as a follower of Christ. Mercy is unconditinally giving someone something they don't deserve through Grace. God's crazy/unconditional, unfailing love for me! This is the perfect quote for this week, as Christ did just that, He gave until it couldn't hurt anymore, and yet His love for us continued to grow.